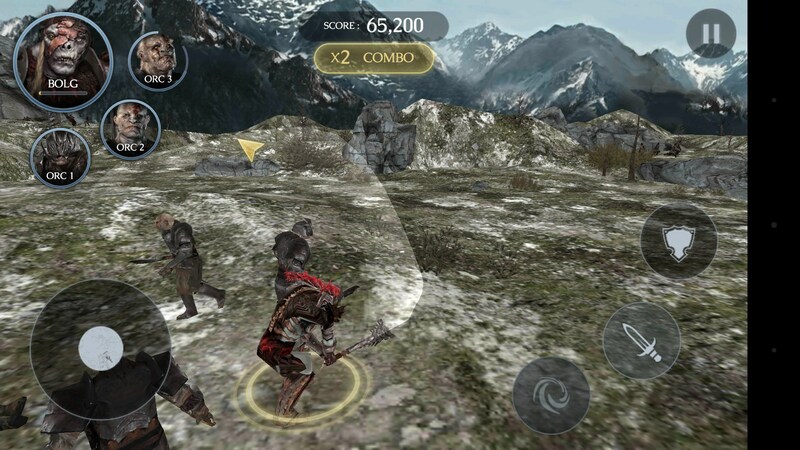 Fight for Middle-earth – Games for Android 2018 – Free download. Fight for Middle-earth – A fun action game that lacks depth. 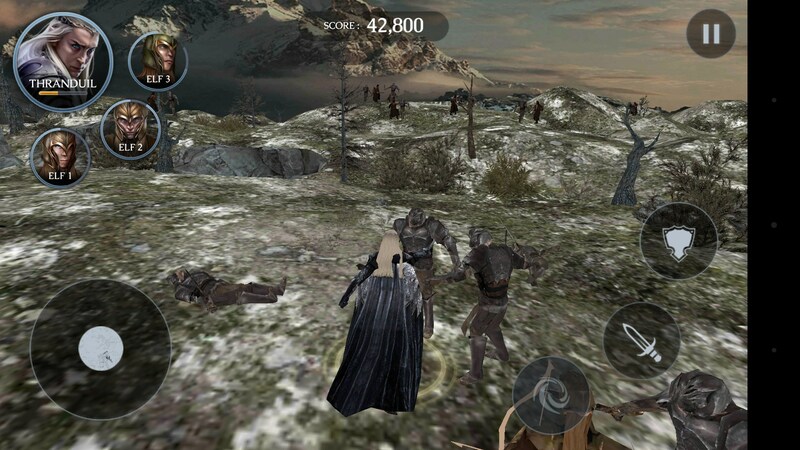 Fight for Middle-Earth for Android is a lot like a watered down version of those Star Wars Battlefront games that came out about 10 years ago. There doesn’t seem to be any direct premise for the game. There are 4 armies to choose from, but each army’s objective is the same - destroy everyone. 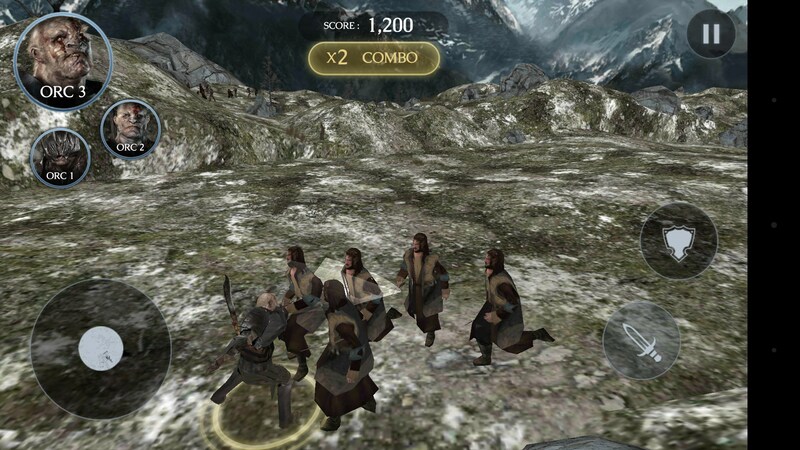 In the Battlefront game you had other objectives that were secondary to completing the mission, but in this game you simply run along in an open battlefield going from squad to squad destroying them. You have a squad of 3 units that you can switch to, and each army has its own hero that will eventually appear that you can control. The game runs pretty well, but the controls can be a little awkward at times. For instance, the camera is static. 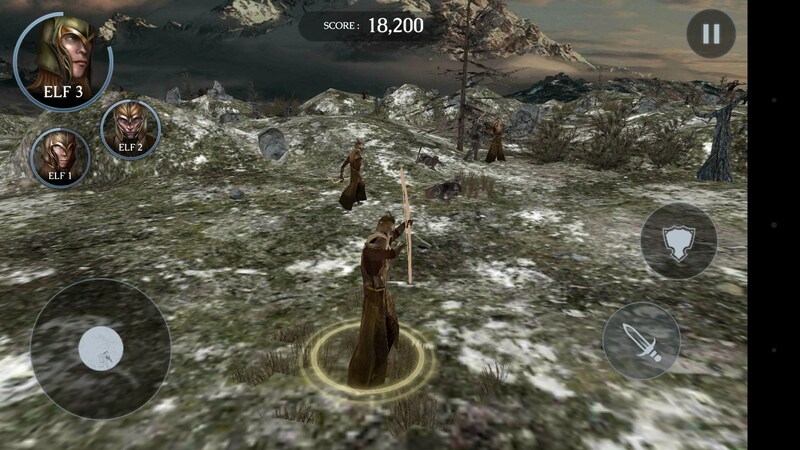 You can’t move it or anything, and this puts the elves at a disadvantage because your only weapon is a bow, and most of the time you can’t see what you’re shooting. Luckily there is an auto-target system, but the lack of camera controls is still a huge flaw. 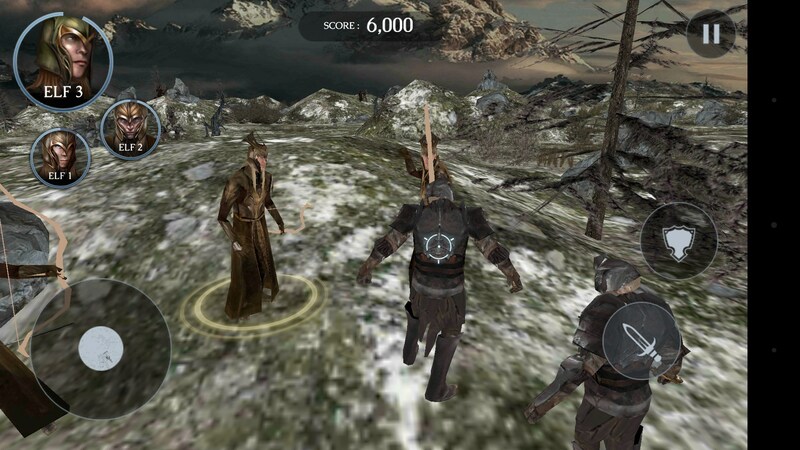 Characters are controlled by an on-screen joystick. 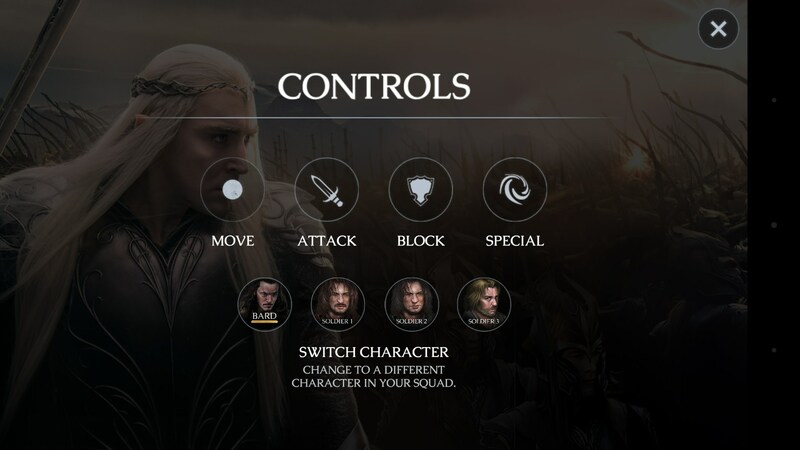 Then you’ve got buttons for attack, block, and a special attack for the hero. Honestly, the special attack never did anything for me. You would press it and eventually something would happen, but it never killed anyone. 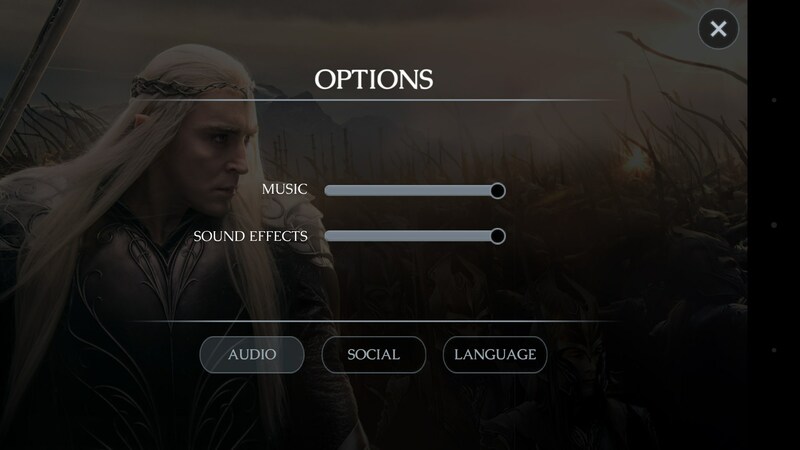 I really want to like Fight for Middle-Earth, but its lack of depth makes that difficult. The background never changes, and the objective always remains the same. 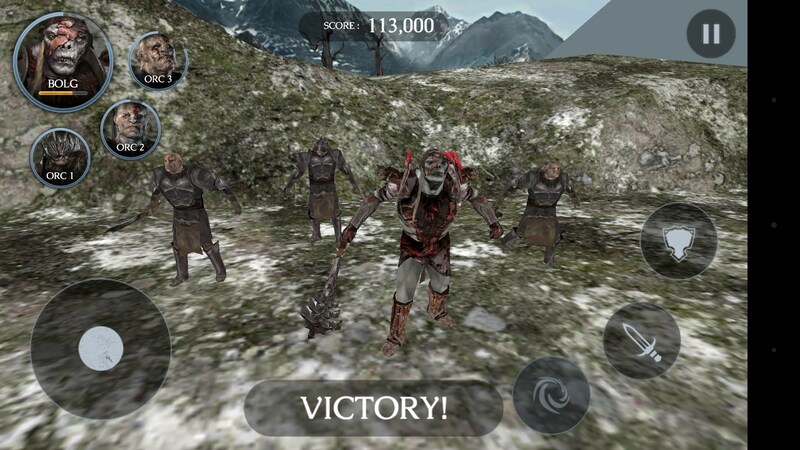 After the novelty of killing everyone around you wears off, you’ve got nothing left but a bunch of crudely modeled orcs trying to hit you with swords.